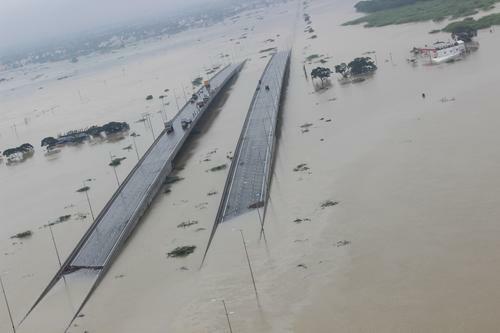 Last month, Chennai, the coastal capital of Southern State Tamil Nadu often called the Detroit of South India, was battered by record-breaking rains that exceeded normal levels by three times and broke a record that had held for more than a century. The torrential downpour submerged the city, brought transportation of all types to a screeching halt, and left many homeless. The deluge was particularly bad news for many multinational automakers since the city is a thriving manufacturing hub to that industry. The city, which also offers an inexpensive, industrious, and disciplined workforce, counts for almost one-third each of the country’s automobile and automotive component sales. The supply chain for these auto industry leaders was badly shaken in the aftermath of the rain. However, a quick look at how regular people used social media to make the best of a bad situation may offer some good insight to electronics OEMs on how to leverage these platforms to get up and running more quickly. In the midst of disaster, people pulled together and everyone, whether Hindu, Christian, or Muslim, rolled up their sleeves to help with the recovery efforts. Notably, social media outlets, from Facebook to Twitter, proved to be key tools in streamlining the process of handling the overall crisis. Facebook brought people together, across borders, across religions, and across languages and cultures. Upon seeing the damages inflicted by the rain in real time on social media, people opened up their homes, schools, colleges, and marriage halls to provide space for affected people to stay. Others, prompted by compassion spurred by online tales of the disaster, cooked food, packed it up and distributed in multiple places to total strangers. One popular movie star Siddharth and his movie director buddy jumped into the water to help out, leveraging millions of their Twitter followers. Not only did help come from nearby cities, such as Coimbatore and Bangalore, but also from places as far away as San Francisco, Atlanta, and Dubai. Through the power of social media, those affected really felt that there are other people in the world that cared for them. In the supply chain, certainly these same platforms could be used to let OEMs and their partners around the world band together to get things done. Once people started seeing the reaction to these efforts, several others jumped in the fray to help out. Several individuals prepared even more food and brought it to Chennai in their own cars and vans. Others tag-teamed these efforts by bringing other essentials by the bus and truckload. In a disaster, organizations can be inspired just as people can—and electronics OEMs are no different. Facebook was also leveraged to get additional and special help to those in most dire need. For example, several pregnant women that were stuck in rain were air lifted with helicopters. These helicopters were able to reach them only after getting the message through Facebook. There were people that were stuck asked for food and essentials who were offered food and essentials only because they were able to get the messages out to the world through Facebook. Smart organizations could use targeted social media efforts to put the word out about critical situations. I find myself wondering if the industry would take notice and step up to help.